What is a Corvette Club? The Lady Navigators Event planned for Sunday, 30 Sept has been cancelled due to rainy weather predicted for that day. It will be rescheduled. Welcome to the Alamo Area Corvette Club "Lady Navigators" page. 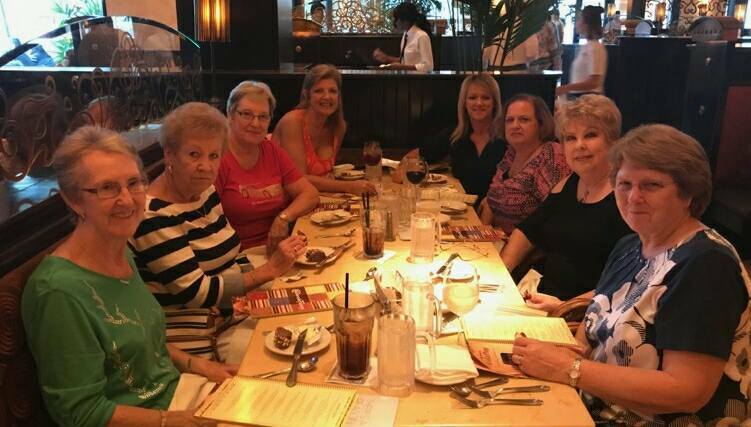 The group caters to the AACC women who would like to get together for adventures encompassing everything from cruises to lunch/dinner engagements, shopping and the occasional wine tasting cruise event. We’ll cruise up to Utopia Texas enjoying the beautiful Hill Country along the way for a gourmet lunch at the famous Laurel Tree Restaurant. The restaurant resembles an old French Mansion. Tranquil and romantic, the restaurant is surrounded by ancient oak trees, a pecan grove and vegetable and herb garden and greenhouses. (A great photo op) Famous Chef and Owner Laurel Waters will prepare a 4-course meal just for us. The meal includes dessert and drink for $37, which includes tax and gratuity. It’s a dry community, but Laurel suggests we bring our favorite wine to enjoy. **Go to UTOPIA GOURMET for pictures of the Laurel Tree, menus, Laurel’s Bio and more! Departure: Meet 9 am at Home Depot on Bandera Rd & 1604. (Outside 1604 at Bandera Rd). We’ll hand out maps and depart at 9:30 am. Following lunch, we’ll head in to Utopia to tour the museum or visit the antique shop. The movie “7 Days In Utopia” starring Robert Duvall was filmed here.